Do you need money fast? Do you own your vehicle outright? USA Money Today may be able to help! We offer title loans in Henderson with competitive rates and fair terms, helping you to deal with whatever financial issues might arise quickly. Apply online or call us at (702) 998-4100 to get the money you need in as little as 25 minutes. 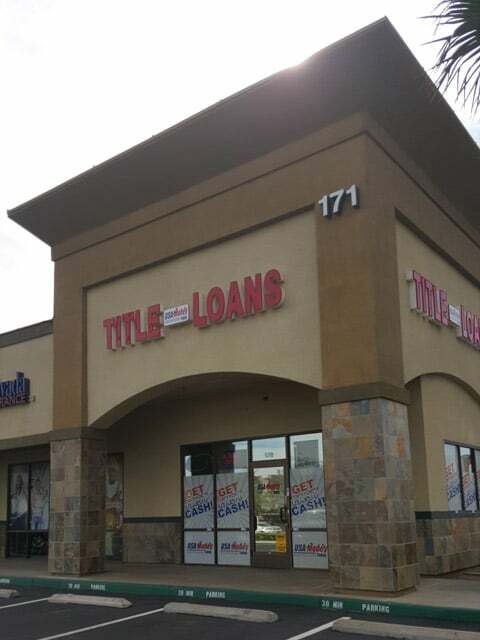 For a title loan in Henderson, Nevada come see us at 171 Gibson Road #170. The store is in the Gibson Center between American Pacific Drive and Mary Crest Road. We’re six doors down from Dunkin Donuts. The store is open Monday through Friday from 9 am to 5:30 pm and Saturday from 9 am to 1 pm. 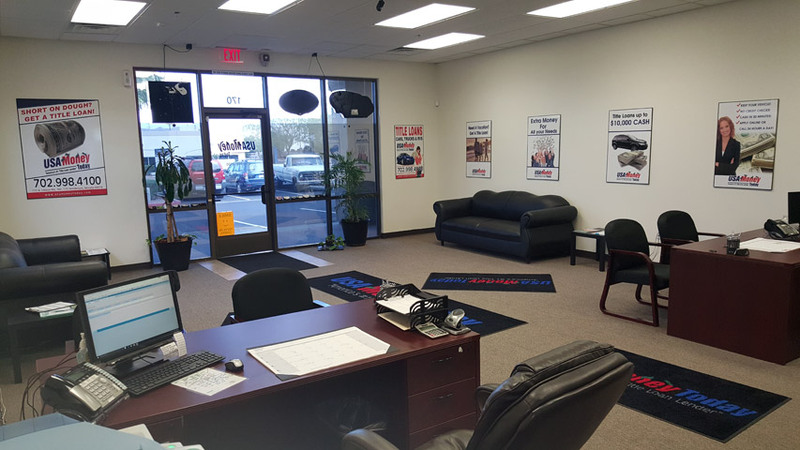 We can be reached anytime, day or night at 702-998-4100. A lot of companies are in Henderson offering title loans and other short-term, unsecured loans to “help” you with your financial needs. Unfortunately, many of these companies offer astronomical interest rates or other terms that make it all but impossible for you to pay back your loan. Then they engage in aggressive and unethical tactics to collect the debt if you fall behind. 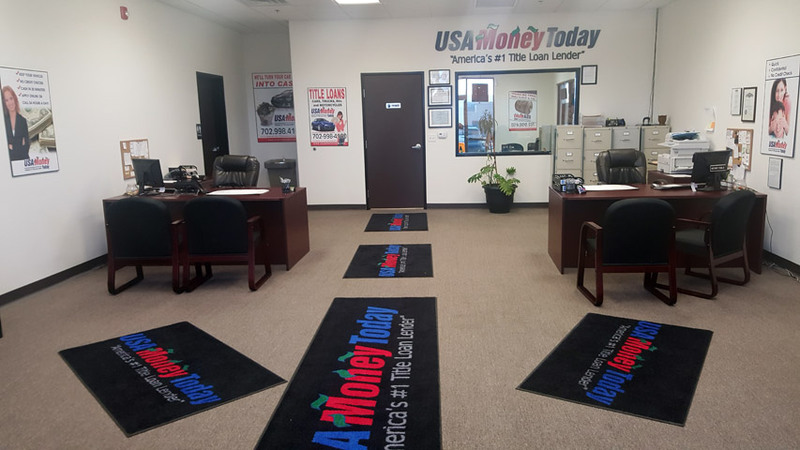 USA Money Today believes in offering fair treatment and affordable loans, which is why we are a top-rated Henderson car title loan company. 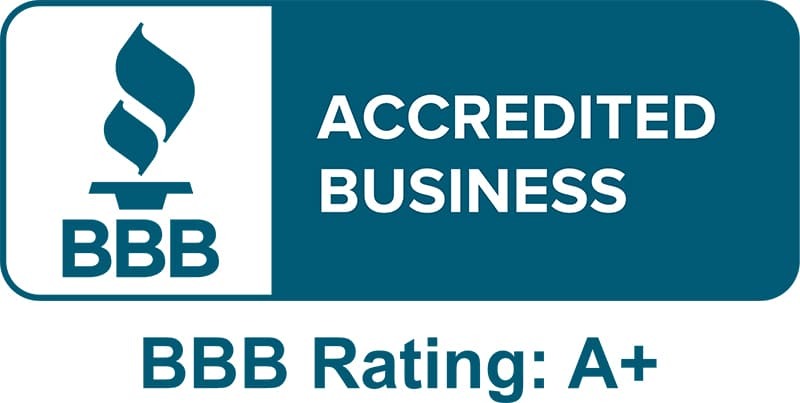 We have built our reputation on exceptional service and excellent loan terms. We try to offer the lowest interest rates possible, and we offer fair terms that make it easier for you to pay back the loan and get back on firm financial footing quickly. Call us at (702) 998-4100 to learn more about our loans or to apply. You’ll experience the world-class service for which we are known. How do you know that the title loan company you are dealing with isn’t a predatory lender that is only going to cause you more financial hardship in the long run? 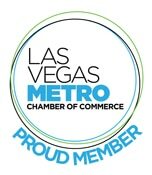 With our Las Vegas title loan company, you can feel confident in our loans and our service because we have a proven reputation in the community. We are a trusted title loan company in Henderson with dozens of positive customer reviews and testimonials, and we are proud to get repeat referrals from our current customers. You will feel that trust when you talk with our representatives, who are committed to professionalism and friendly service. 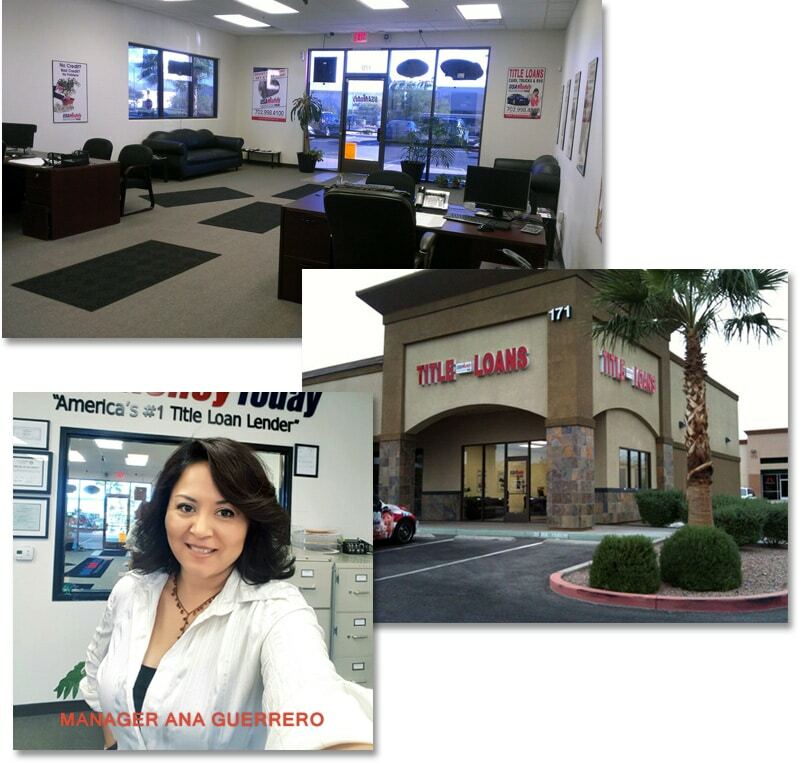 They will thoroughly and patiently answer all your questions and help you understand the Nevada title loan process. You will feel confident and empowered, and you will get the money you need to handle your financial issues. Call us today to learn more! USA Money Today is an affordable Henderson title loan service offering competitive interest rates and minimal fees. We allow you to pre-pay your loan at any time with no penalty. We want you to get the money you need without creating even more financial problems for you. Visit our East Vegas title loan center, apply online to get approval on your title loan in minutes, or call (702) 998-4100 to apply over the phone. 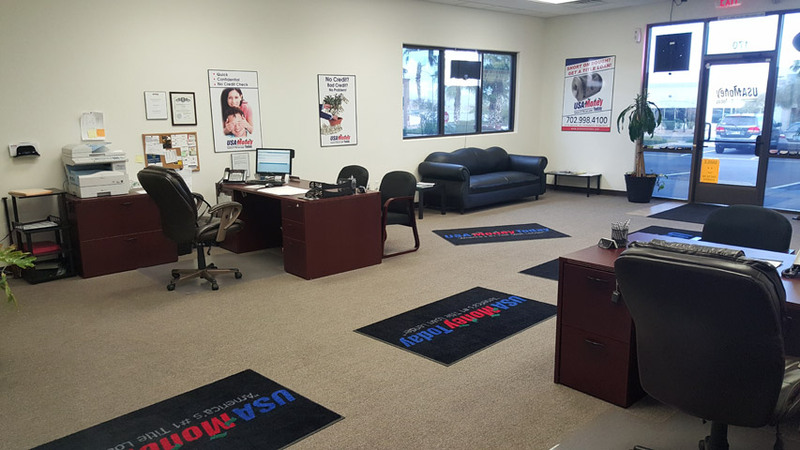 Our #1 rated title loan representatives will walk you through the Nevada title loan requirements, and you’ll get approved, the best title loan terms, and the cash you need in hand within minutes! Ana has been very nice and helpful, we had a great experience here. They are professional, friendly and efficient, Great service and business hours! I would recommend this store for sure! We’ve used them twice and they are great! Excellent service, good rates. Anna is awesome and very professional. Highly recommend! First of all the car appraisal was very fair as well as interest rate. Both Gill and Ana have been a pleasure to work with as they have been very accommodating and flexible. An RV is a great investment in more ways than one. If you own an RV, you have a lot of equity you can use to get an RV title loan. Apply now for an RV title loan in Henderson 89014! You can apply for a title loan online in Henderson or get your questions answered in person at our nearby Henderson title loan center. 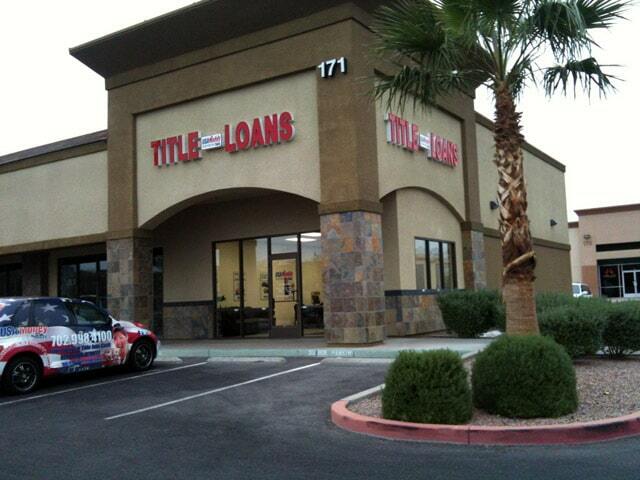 Visit our NV title loan office today! If you own a truck, you can borrow against its value to help weather financial storms. The newer your truck, the more you can get for your Henderson truck title loan. Don’t waste money or suffer poor service with another title loan company. Our Henderson title loan company offers the best online title loans in Henderson 89074! Don’t wait weeks to get the money you need with a traditional lender. 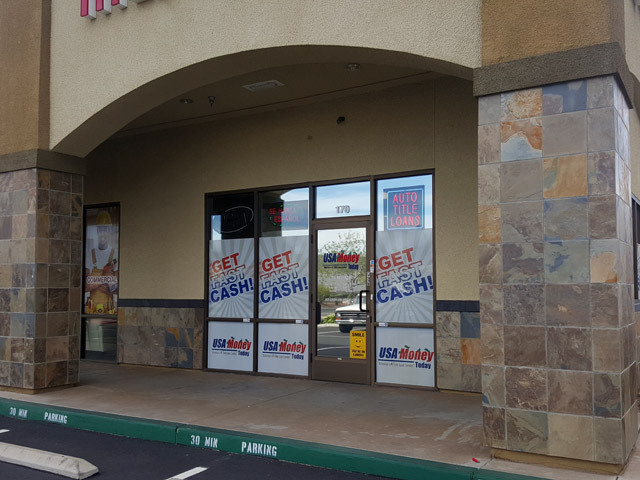 Call or apply online for a fast cash title loan in Henderson 89052, and get money you need in minutes! Our Henderson refinance title loan company can also refinance your title loan if you went to another company and received bad terms or if you aren’t able to pay the loan. Whether you have an overdue bill that needs to be paid before you face collections or you just need a little extra cash for a vacation or other luxury, a North Las Vegas title loan can help you meet your goals. You just need to be an adult Nevada resident and own your own vehicle. Apply online to find out how much money you can get for your vehicle!